Favorite Form of Gemstone: Diamonds, of course! 2018 is the fourth season as Gems owners for Jimmie and Julie Louthan. In addition to the Gems, the Louthan’s own JJ’s Catering and Café J at 1400 N. 30th in Quincy. It was through the catering business that the Louthan’s became a part of Gems baseball, handling the concessions during the 2014 season. They took over ownership of the club in 2015. Favorite sport & team: Baseball, the St. Louis Cardinals and the Gems of course! Deron Johnson is in his fourth season as the Assistant General Manager of the Gems. 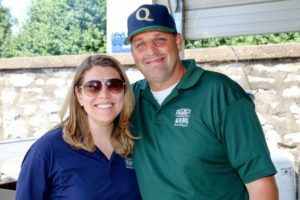 A Quincy native, Johnson handles many aspects of the game day operations during the season and performs sales and marketing duties for the club in the off-season. 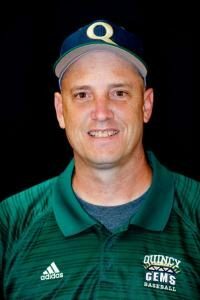 Johnson has been involved in sales for many years, including a long tenure with the Quincy Herald-Whig, various other media companies, and he was part of the Hannibal Cavemen staff for 3 years before assuming the Assistant GM role with the Gems. He lives in Quincy and has two daughters and two grandchildren. © 2019 Quincy Gems. All Rights Reserved.